Watching your kids spend so much time with video games and cellphones, you’ve probably thought to yourself what you can do to divert their attention to more constructive activities. If you’ve wanted to involve them in an activity where they will develop their talents and polish their artistic skills, we have the perfect solution for you. Our Open Art Studio at Henderson, The King Art Studio. 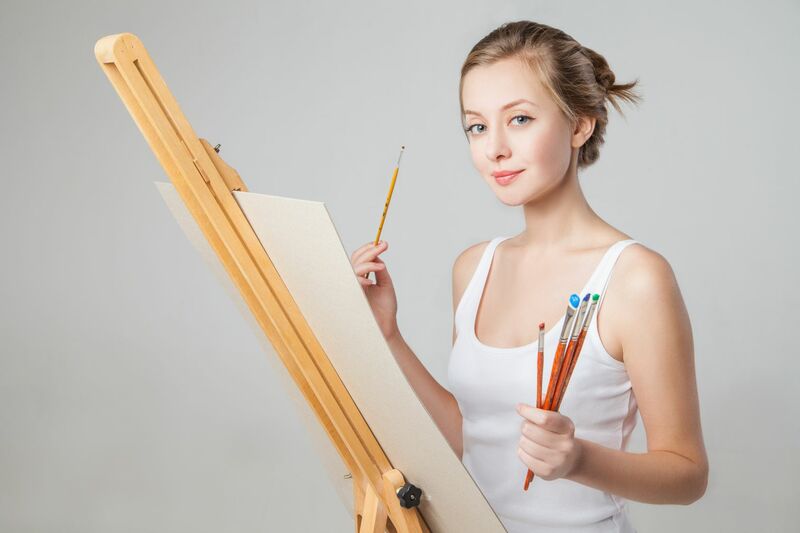 This studio is a hip, fun and interesting place where your kids will have the freedom to try their hand at and find the medium of art that excites them the most. They can choose from pastels, paints, charcoal, paper, canvas and any other channel that will allow them to express their feelings and perceptions in the best way. All of these materials are absolutely safe for kids to use and we provide access to all the supplies your kids need. Your kids can also choose to just learn to draw and sketch or look for more advanced art education. So you see, our Las Vegas art classes can help kids with behavior challenges and give them a sense of achievement and pride in their handiwork. Art can help kids to think out of the box and come up with solutions to the issues they face growing up. It can help them understand the world around them and see it in a new light. They also learn exceptional motor skills and develop a better memory. All of these are skills that can help them with academics later. Your kids will be learning art in a supportive environment under the guidance of our team of expert instructors. Our owner, Sarah Tiffany King is also often on site, as well as her expert staff, teaching and directing. She is trained in imparting skills and loves working with kids with their receptive minds and agile hands. And, we have an added plus for you. We often offer discounts when siblings join together. This is a great opportunity for perpetually squabbling siblings to bond better; over art. As you watch them encourage each other and have silly competitions trying to outdo the other, you’ll know you’ve brought them to the perfect place. For more information, call us or contact us at The King Art Studio. Open Art Studio hours are from Tuesday through Friday from 10:00 in the morning to 2:00 in the afternoon.